Take advantage of recreation opportunities such as a sauna, or other amenities including complimentary wireless Internet access and concierge services. Additional amenities at this hotel include shopping on site, a television in a common area, and discounted use of a nearby fitness facility. With a stay at Story Hotel Studio Malmö, you'll be centrally located in Malmo, a 8-minute walk from Malmo Concert and Congress Hall and 11 minutes by foot from Malmo Town Hall (Radhuset). 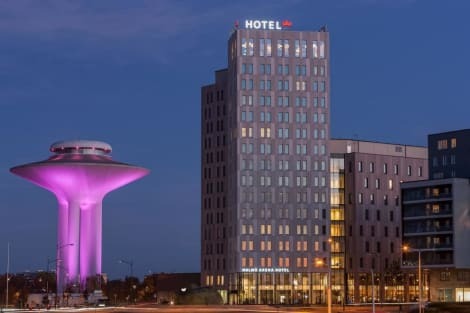 This 4-star hotel is 0.7 mi (1.2 km) from Lilla Torg and 0.9 mi (1.4 km) from HSB Turning Torso.